High quality NFC Card, ideal for showing off your portfolio, your products or your business. With the option of a different image on every card. Embedded in the card is a NFC Forum chip. When it’s touched to a smart. 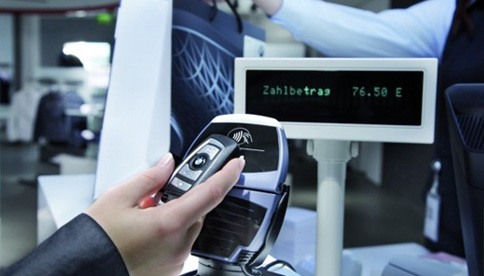 NFC tags are part of RFID and operates in the 13.56 Mhz frequency. It communicates between a mobile phone with wireless technology & media content. NFC stands for Near Field Communication. The tag can carry more data than barcodes, URLS or QR codes. They are more secure, can be password protected, and tracked to a specific person/account. Castlestone provides your wanted NFC labels, compliant with NFC forum Type 1-4. Our NFC label can be with various kinds of size and customized shapes. Ferrite layer is optional to be applied to make the label workable when sticking on metal surface.